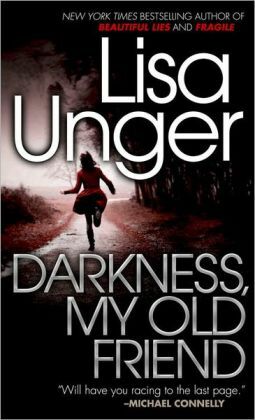 Lisa Unger is one of my favorite authors. Whenever she releases a new book, I know I am going to have a long night of reading ahead – especially when it is a novel set in The Hollows. 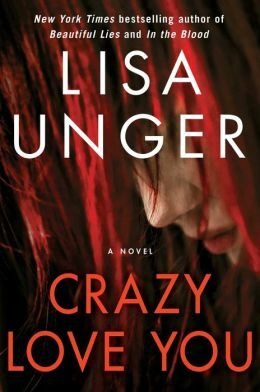 I am thrilled to welcome Lisa Unger to BOLO Books today on the release date of her latest book – Crazy Love You. BOLO Books: Tell us a bit about Crazy Love You, your new novel set in The Hollows. BOLO Books: Crazy Love You required you to write from the point-of-view of Ian. How much of a challenge was it to write from the male perspective? Did you find any unexpected benefits from doing so? Lisa Unger: Ian was a voice in my head. Male or female, I’m not sure it matters. When it comes to inhabiting character, it’s really all about empathy, compassion and respect. The writer is first and foremost an observer. We take information in. We listen when people talk. If we are able to do those things, then almost any character is available to us. Ian felt very familiar to me, very known. And I listened to his story in the same way I would have listened to any of my characters, though his was harder to hear than most. And his instability and total unreliability made the ride very unpredictable. BOLO Books: Priss is an interesting character. She manages to straddle the line between being very likable and being downright scary. Where did the idea for her come from? Do you think you would have been friends with her? Lisa Unger: I’m not sure where Priss came from exactly, meaning from what part of my psyche she has sprung. Much like Ian, she just showed up wild and damaged and demanding attention. But more than anyone else in the story I can link her inspiration back to iconic superhero figures from the comics. Like most superheroes, she starts as an innocent and through extreme circumstances she is changed into something else. In her way, she’s an avenger. But she’s also a victim, and she has a terrible dark side. She’s been a friend and a rescuer for Ian, but as Ian outgrows her, is less in need of rescue, that powerful darkness inside her spins out of control. Like most damaged, angry souls, I don’t think Priss is anybody’s friend. BOLO Books: Bullying is an important storyline element in Crazy Love You. I believe that it is one of the major components behind many of societies current problems. Would you agree? Lisa Unger: I do agree. On the schoolyard, in the home, on a global scale – it’s a toxic behavior that creates all kinds of damage. Unfortunately, I think there will always be bullies and they will always find their victims. There’s a kind of shifting back and forth that takes place in Crazy Love You. At one point, Priss is bullied, then she’s the one protecting Ian from bullies. Then she becomes a bully herself. Ian is guilty of some pretty atrocious behavior, and violence, too – though much of his life he’s been a victim. I don’t know if I was trying to make a point, exactly. But if there is a point about bullying in this novel, it’s that violence begets violence, that it’s a terrible dark twist that keeps turning back on itself. Eloise Montgomery shares with Ian her belief that people only act out of love or out of fear. That all other motivations are secondary to those two primary emotions. The only way to stop violence and bullying is to treat victim and perpetrator with love – because ultimately they’re one and the same. 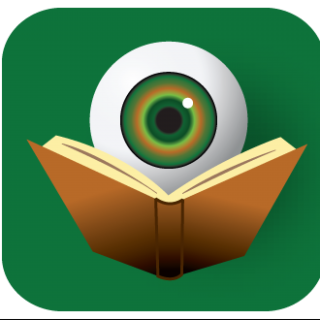 BOLO Books: Your books set in The Hollows are some of your most popular. What is it about The Hollows that is causing fans to keep craving a return to the town limits? 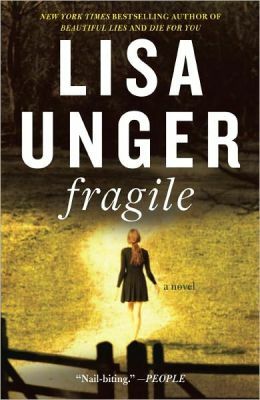 Lisa Unger: When The Hollows first turned up in Fragile, I didn’t think very much about it. It was just the place where my story was unfolding. But as I was writing, I started getting a fuller picture of the place, and started to feel as if there was more to it than I originally thought. I started to see it as a character, rather than a place – a character with real motivations and agendas, not all of them good. The Hollows has been evolving for me over the last few years. I continue to be fascinated by it, and am exploring it along with my readers. It has so many facets, and it is something different to everyone, depending upon what they bring to it. I find that idea to be really compelling, that so much of our experience with the world is about how we see things. Eloise sees things very differently than Ian does. Jones Cooper had a different idea about The Hollows than either of them. There seems to be no end of things to learn about The Hollows and the people who populate it. Maybe that explains why readers keep wanting to go back there. We’re all just trying to figure out what The Hollows wants. BOLO Books: John Connolly has talked about how during the early days of his career, folks didn’t know what to think of his books because of the increasing supernatural elements in each novel. Did you worry at all about including such paranormal components in The Hollows books? Have you received any negative feedback from publishers/fans? 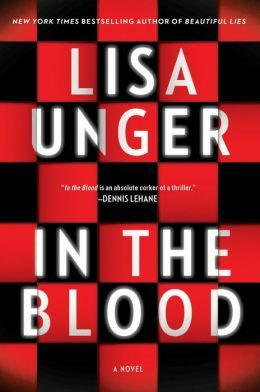 Lisa Unger: I never worry about those types of things when I’m writing. My stories, characters and The Hollows have progressed and changed as I have written. I have no choice but to honor the voices and the story and go with that. I don’t censor myself, or pull back because of marketing concerns. I would hate to think I didn’t write something out of fear that it wouldn’t be well received. That is the death of the creative process. Ever since Eloise showed up back in Fragile I’ve been heading in this direction. The story progression always felt very natural … not supernatural. There are so many elements to the books and to the experiences of my characters, that Eloise’s psychic ability, and the layer of The Hollows that she experiences, only seemed like one part. I have always been very fortunate to have editors and publishers who honor the direction of my work and don’t seek to influence it. If there’s been negative feedback, I haven’t heard it. I’m sure some people will like the direction of Crazy Love You and maybe others will find it challenging. But I hope readers of conventional thrillers, as well as readers who don’t mind delving into the unexplained, will find everything they need in the shorts, in Crazy Love You, and what comes next. For me, it was a very exciting layer and one which I have loved exploring. I hope my readers feel the same. Meanwhile, I am huge John Connolly fan and would read anything he wrote, regardless of genre. I expect him as a great writer to honor the voices and stories in his head. I love knowing that his books are always going to be unique and brilliant, not just the same old thing. He continues to grow and change and get better with each book, and as a reader I really appreciate that. BOLO Books: I completely agree about John Connolly’s books. They just keep getting better and each one is unique unto itself. I feel as though The Hollows books are doing a similar thing, but then I am an unabashed fan. You have written both series novels and standalones (along with The Hollows books, which are a combination of the two forms). Which do you prefer? What are some of the limitations of each format? Lisa Unger: Some stories are complete in one book. And some stories, characters, or places need a series to really be fully explored. I never feel like there’s much choice in these things. And I can’t really say that I prefer one over the other. I just keep writing until the story is finished, sometimes that’s one book, two, or more. BOLO Books: Recently, you released a series of short stories set in The Hollows. Did you enjoy working in that format and how did that decision come about? Lisa Unger: Since the end of Darkness, My Old Friend, I have wanted to spend some quality time with Eloise. When my agent suggested that she too really wanted to know more about Eloise, the short story seemed like the perfect way to explore the character. I have had so many questions about her and so much has happened to her “off stage” in the other books, that I really relished the chance to get to know her better. I loved writing the shorts, which I really see as a novella in three parts, spanning thirty years. It was an amazing experience to get into Eloise and her experience so deeply. And it also allowed me to get to know Finley Montgomery who is Eloise’s granddaughter and my current obsession. BOLO Books: You have some of the best covers in the business. How important do you think cover design is in the success of a book in today’s publishing world? Have you ever judged a book by its cover? Lisa Unger: Covers are always important, of course. They’re the face of the book, communicating a great deal about the story inside. I think we all judge books by their covers. I can’t think specifically of a book I picked for that reason alone, but I’m certain I’ve been influenced by great jacket art. I absolutely love the cover for Crazy Love You – it is dark and beautiful, my favorite combination! BOLO Books: I know that Fragile was optioned by TNT for television. Is that still happening? And has there been any interest in filming your other books? Lisa Unger: It was optioned for TNT for what was intended to be a Monday mystery movie series. Apparently, the first films they made for this series did not perform as expected and the series was cancelled. Which was too bad, because I watched a few of them and thought they were great. And it seemed like such a perfect idea for mystery/thriller fans. Because of that, Fragile never made it to the screen and the option expired. In The Blood is currently under option by Gary Fleder and Mojo Films. Fingers crossed! BOLO Books: If your daughter Ocean were to one day tell you she wanted to be a professional writer, what piece of advice would you give her? Lisa Unger: I’d tell her the same thing I tell every aspiring writer – write every day, read everything you can get your hands on, and worry more about being the best writer you can be more than getting published. If you have the talent and you work hard, you will publish your work. Then get ready to really work hard! Lisa Unger: I think there is a place for all of those formats in the market place. As a writer, I just want people to read and it is purely up to them how they do it. As I reader, I prefer a hardcover book. I love everything about books – the feel of them, the smell, the weight in my hands. For me reading is a comforting, tactile experience. I do read in e-format when traveling, or when I need to read something right away. But I guess I’m just old school — I want printed words on paper. Scheduling Update: Look for the BOLO Books review of Crazy Love You later this week.